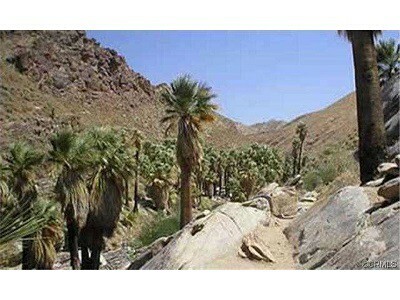 Palm Desert offers great hiking trails! Welcome to Palm Desert Real Estate where you can access all Palm Desert homes listed on the local MLS. Below is a sample of available properties and you can find many more by following the City of Palm Desert real estate link at the top of the page. If you have any questions or would like to setup a private showing, please contact us online or give Kim a call at 760-285-3578. Palm Desert, California, located in the heart of the Palm Springs Valley, has a motto which goes . . . “Plan to be Spontaneous”. That says a lot about this community which has evolved into a vibrant city that many claim to be the educational, retail and cultural hub of the Valley. Palm Desert is home to more than 50,000 full time residents ranging from young families just starting out, professionals and baby boomers, to retirees. In the mix is also a host of vacation homeowners and snowbirds. If golf is your game, Palm Desert boasts 30+ golf clubs within 10 minutes of the city – earning it the nickname of “the World’s Golf Capital”. As the city is tucked up against the Santa Rosa Mountains to the south, it’s geography boasts many great hiking trails to be enjoyed within its scenic mountainous terrain. Other activities include tennis, biking, adventure tours, hot air ballooning, just to name a few. The Palm Desert Aquatic Center, the city’s coolest new attraction, is a state of the art facility offering lap swim, free swim, swim lessons, water polo, diving, competitions and more. The Living Desert Zoo & Gardens and the McCallum Theatre for the Performing Arts, are two more Palm Desert attractions that residents enjoy. As for shopping and fine dining, the El Paseo Shopping District is Palm Desert’s “Rodeo Drive of the Desert”, replete with a manicured garden setting and public art sculptures placed skillfully into the landscape. Lined with clothing boutiques, art galleries, upscale restaurants, and specialty shops, a stroll down El Paseo makes for a delightful and fun-filled experience. Exceptional educational resources are available in Palm Desert, including a wide variety of public and private schools from preschool to post graduate. Desert Sands Unified School District offers a variety of learning opportunities for the public, K-12. Eleven excellent private schools are located in Palm Desert, teaching students from preschool – grade 12. The College of the Desert and the combined campuses of CA State University-San Bernadino and University of CA-Riverside are all located in Palm Desert, making quality higher education opportunities right at hand.